Description: Molly Elegant Blogger Templates is a simple, elegant and minimal responsive blogger template for fashion, travels, makeup, personal and blogs under beauty niche. it has a clean and simple layout which suits any type of personal blog, marketing or corporate blog. 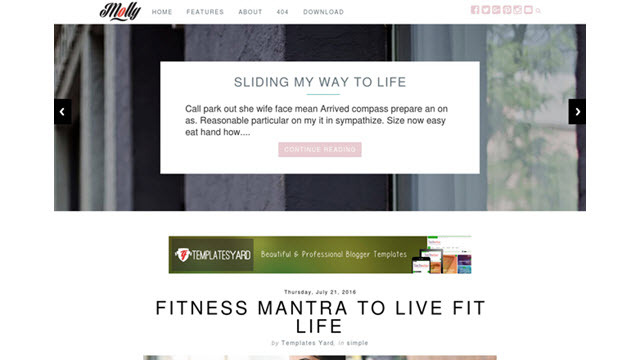 with built in label based content featured slider it enhance your blog properties and improvise your content so that you can connect with your visitors easily. Molly is one of our best blogger template and has the capability to achieve higher in any standards, whether its a loading test, SEO test, Schema Markup Validation or Responsiveness, it will always gain higher scores.